Blue Lakes By The Bay is the largest premier transportation company in Northern Michigan with the most updated fleet in the area. 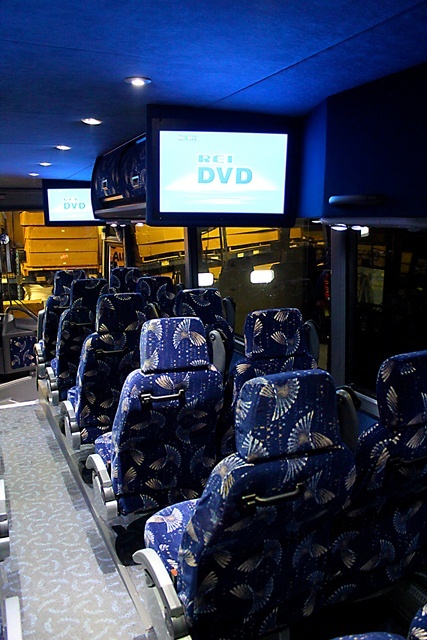 Our vehicles rage from 7 passenger luxury SUV’s, all the way up to our 56 passenger luxury motorcoaches, we can move up 2,240 people at one time. We specialize in Wedding Party Transportation and Guest shuttling. Having served Northern Michigan for over 25 years, experience has taught us how to be the best and how to treat our customers so we can keep them for a lifetime. Let us make your special day stress free and seamless! We are a full service charter company that takes care of your guests starting with their airport shuttles when they arrive up until the actual event shuttles and then return them at the end of their stay to the airport. We assist the bride and groom as the RSVP’s come in to provide the most efficient Wedding guest shuttle schedules. Let us pick up your guests at local area hotels and transport them safely and ON TIME to your wedding venue. We work with the hotels to ensure the guest have their pickup times when they check in so they arrive on time and ready to celebrate. After a night of celebrating at your reception we will gladly transport your guests back to their accommodations safely. Our Wedding Party Photo tours start with several great locations that make for wonderful pictures and can be completely customized to fit your needs. Depending on the time and the couple we also do Wine tastings on both Old Mission and Leelanau for wedding parties and “first looks”. Our private car collection of SUV’s for the bride and groom provide a discreet way to leave the venue in privacy and luxury. We can deliver you to the ceremony or take you to your wedding night accommodations! We are always available to provide an exact price quote for your special day just call 231.932.1065, or email us at info@bluelakesbythebay.com Let our professional staff make your day.